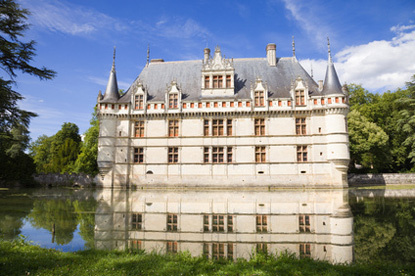 The Centre is an administrative region formed from the historical provinces of Orléanais, Touraine, Berry and parts of Anjou, in the central section of the Loire Valley. The Orléanais is the historical core of the royal domain with Paris, and the three other provinces were the first territorial expansions of Crown in the late Middle Ages. 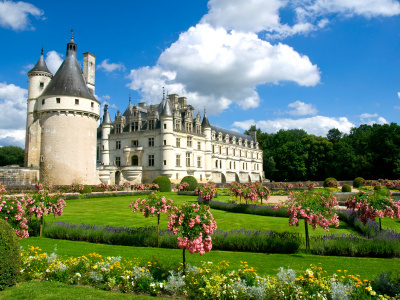 Away from the troubles of Parisian life, the French Kings built most of their castles in the Loire Valley in the 15th and 16th centuries. The local gastronomy is delicate and refined, matching freshwater fish (notably pike) with the exceptional local white wines (Chinon, Bourgueil, Pouilly-Fumé, Sancerre, Vouvray) and making a generous use of butter. Local specialities include Rillettes de Tours, Andouillette de Jargeau, Noisettes de Porc aux Pruneaux, and for dessert Tarte Tatin or Pithiviers. Try also the region's goat cheese: Sainte-Maure de Touraine, Valençay, and Crottin de Chavignol. 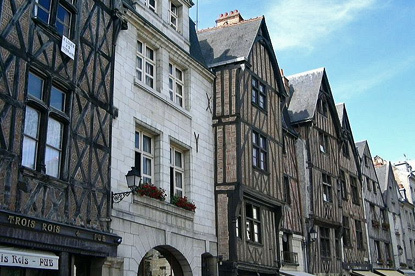 Most of France's perfumes and cosmetics are produced in the so-called Cosmetic Valley, located mostly in the départements of Eure-et-Loir (Chartres) and Loiret (Orléans). Many locals still use the names of the old provinces, instead of talking about the confusingly named Centre Region. The Orléanais used to cover the Loiret, and parts of the Loir-et-Cher, Eure-et-Loir and Yonne (in present-day Bourgogne). The Touraine was divided between the départements of Indre-et-Loire, the southwest of Loir-et-Cher and the northwest of Indre. The Berry corresponds to the départements of Cher, Indre, and parts of Vienne. Famous people from the Centre include (chronologically): the humanist and writer François Rabelais, the philosopher René Descartes, the writer Honoré de Balzac, the author Alain-Fournier, and the actor Gérard Depardieu. 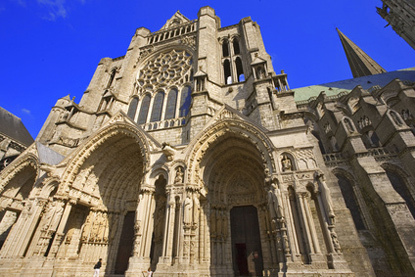 Nicknamed the granary of France, Chartres is worth a detour for its cathedral, deemed the most complete and best preserved of all Gothic churches, and among the first buildings to be listed by the UNESCO. Traditional capital of the Tourraine, Tours is the largest city in the Centre region of France and the main hub for exploring the Loire Valley castles. 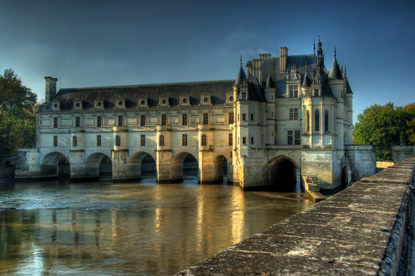 Built over a bridge spanning the Cher River, Chenonceau Castle is like no other in France, and probably like no other in the world. 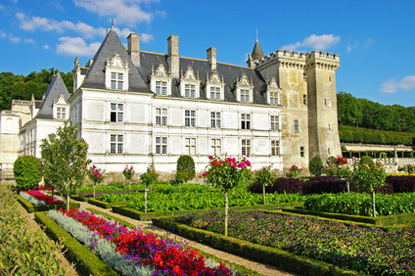 This exquisite Renaissance château is the most visited heritage site in France still in private hands. 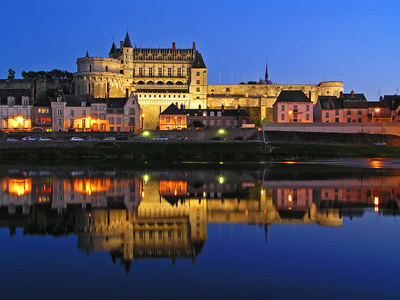 The small market town of Amboise (pop. 12,000) grew in the Frankish period as one of the seats of the Counts of Anjou, then of the powerful House of Amboise. The town is famous for its castle, a royal residence that played a pioneering role in the development of French Renaissance architecture. 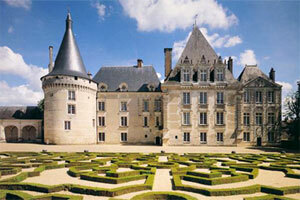 Azay-le-Rideau is one of the earliest French Renaissance châteaux and one of the most charming. 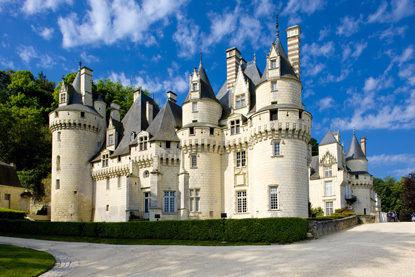 Property of the Duke of Blacas to this day, the château d'Ussé is a perfect, pretty, turreted fairy tale castle. 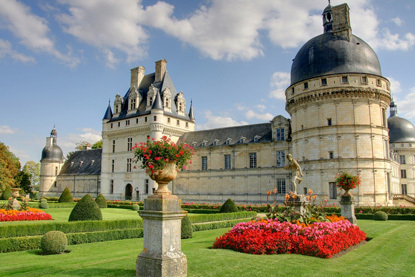 Blending Renaissance and Neoclassicism, the Villandry is one of the most popular châteaux of the Loire Valley thanks to its breathtaking landscaped gardens. Former property of the Prince de Talleyrand-Périgord, Valençay Castle was praised as "one of the most beautiful on earth" by George Sand. 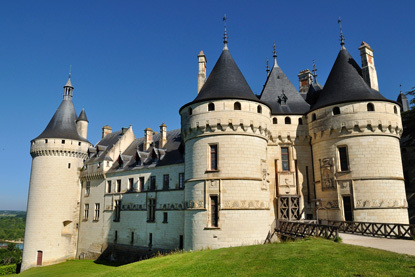 Sully-sur-Loire is a 14th-century medieval castle converted into a residential château between 1602 and 1607 by Maximilien de Béthune (1559-1641), Duke of Sully, known as the Grand Sully. 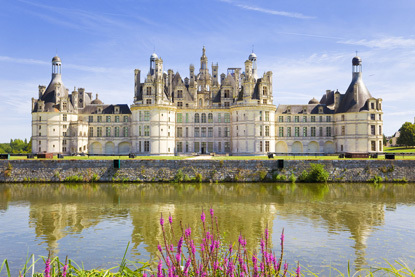 Chambord is the largest château of the Loire Valley and one of the most sumptuous. Jewel of the Renaissance built by Francis I, Chambord also boasts the largest enclosed park in Europe (50 km²). 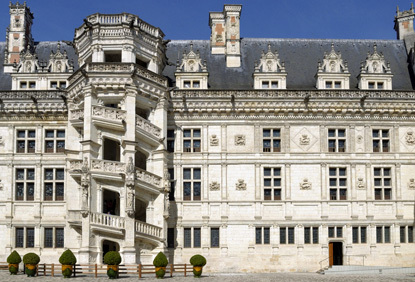 The picturesque town of Blois attracts visitors for its royal castle, reconstructed by King Louis XII in the Renaissance style and occupied by other great kings like Francis I and Henry IV. 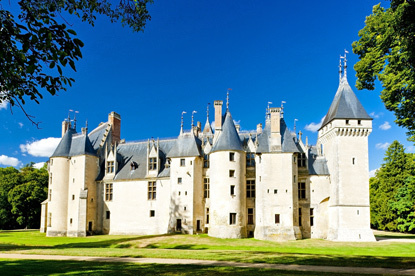 The 15th-century Chaumont Castle is considered by some to be the handsomest of France's medieval castles. 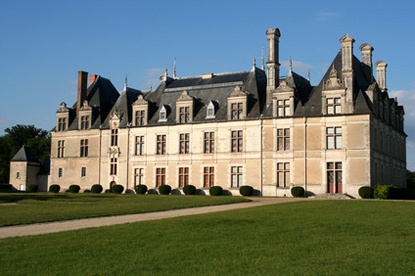 Cheverny is one of France's great 17th-century classical castles, famous for being the source of inspiration for Hergé's Marlinspike Hall (château de Moulinsart in the original French) in The Adventures of Tintin. 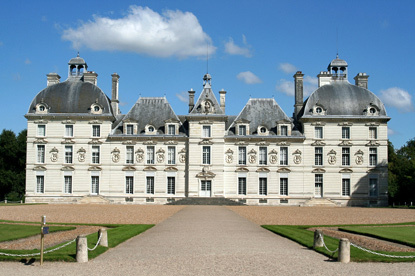 Located a few kilometres south of Blois, the Renaissance Château de Beauregard encloses an exceptional portrait gallery depicting 327 European monarchs, ministers, clergymen, marshals, diplomats and other notables who lived between the reign of Philip VI (r. 1328) and the death of Louis XIII (1643). 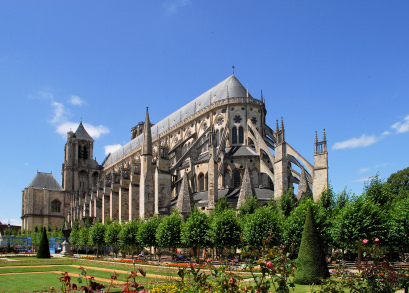 Bourges is the capital of the old province of Berry and is renowned for its Gothic cathedral, listed as a World Heritage Site. 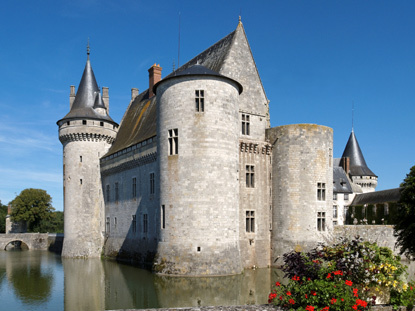 Meillant is a Late Medieval castle located in the old province of Berry. It is characterised by its Late Gothic (Flamboyant) style.